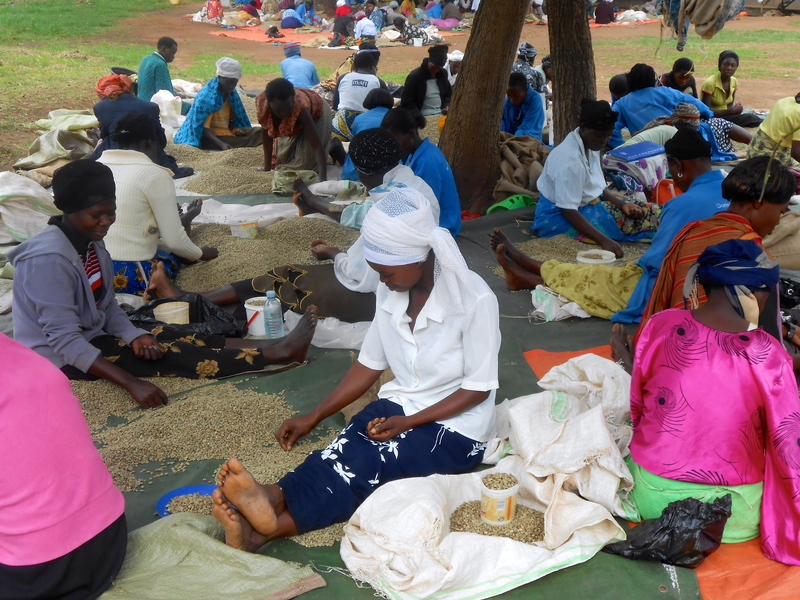 Gumutindo is a word meaning “better” or “higher quality” – a fitting name for this co-op as it strives to better its quality, improve production, improve service to buyers and improve the lives of their farmers year after year. 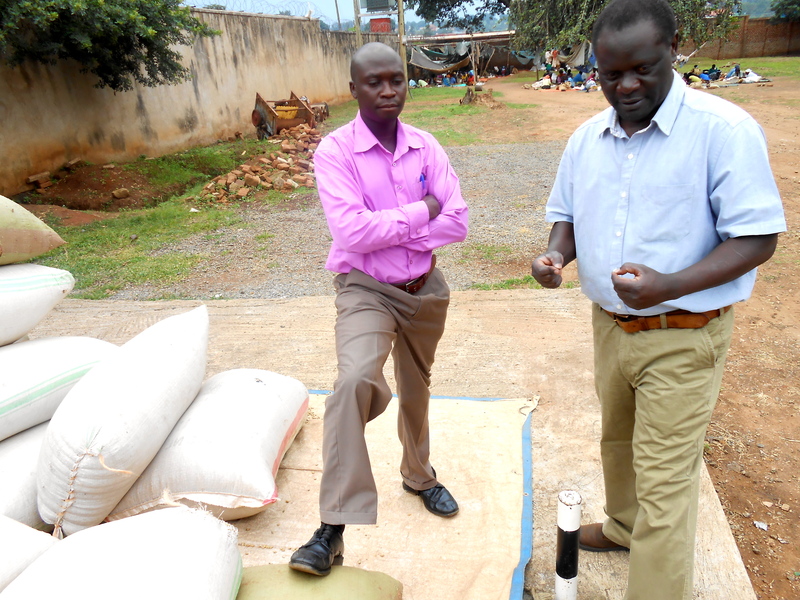 Wamayeye Willington showed me around the Gumutindo Dry Mill located on Mwanyi Road; it means “Coffee Road” in the local language. He told me that Gumutindo is like an elephant. If a man closes his eyes and touches the elephant’s leg, he thinks it’s a tree trunk. If he touches its side, he thinks it’s a wall, touches the ear and he thinks it’s the leaf of a giant tree, touches the tusks and he thinks they are the horns of a cow. But if he opens his eyes, he can see all the parts moving together and he sees the elephant. That is how they work together at Gumutindo — with their eyes open. Each one sees the value of their coffee and knows their role in producing it, from the farmers to the mill operators to the hand sorters. They respect each part of the process and depend on each other to produce the highest quality coffee possible. Willington says that as long as each person in the process knows they are part of the elephant, Gumutindo will continue to be successful.